Cheese, glorious cheese. Short of lactose intolerance or hardline veganism, no diet is complete without this wonderful food. 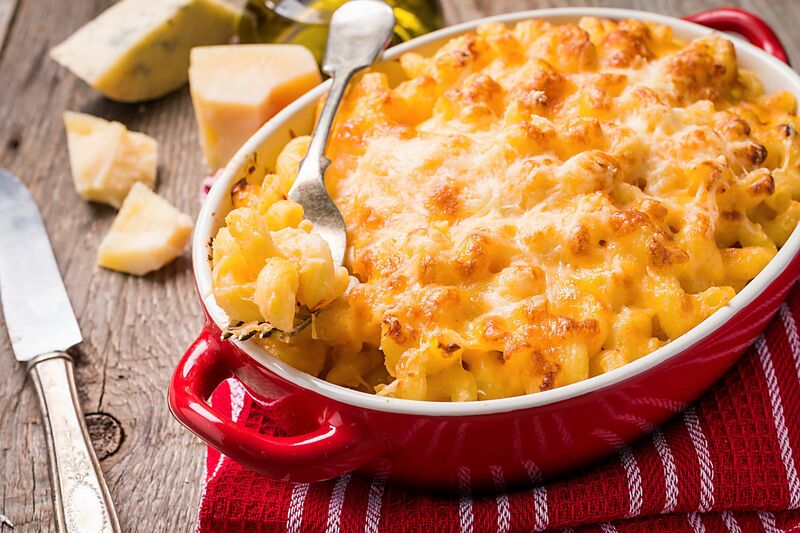 Regardless of whether you like it in your burger, or slathered over a pile of fries fresh from the fryer, or sprinkled generously over a piping-hot plate of pasta, it can be universally agreed that most dishes can be enhanced by the addition of cheese. If you are a die-hard disciple of this dairy delicacy, you owe it to yourself to check out the dishes below. Tea with milk? Sure. The British started the tradition centuries ago. But tea with cheese? Surely that was taking it a little too far. As it turns out, our fears were unfounded: so mixing tea and cheese is not a bad idea after all. We apologise for ever doubting you, oh mighty cheese. 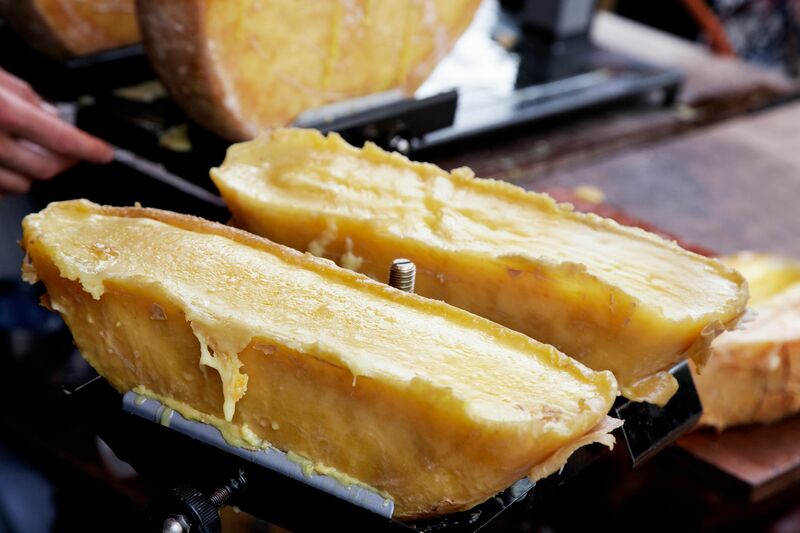 Raclette may be the name of this cheese, but most have come to associate it specifically in its melted form. The heated cheese is scraped onto a plate, and eaten with dried meat, pickles and other vegetables. It looks gloriously goopy, but its pungent smell makes it more of an acquired taste. While previously the domain of fine French and Swiss dining, raclette has now entered the mainstream. Many restaurants now offer raclette cheese on steak, sandwiches, salads and many other dishes. 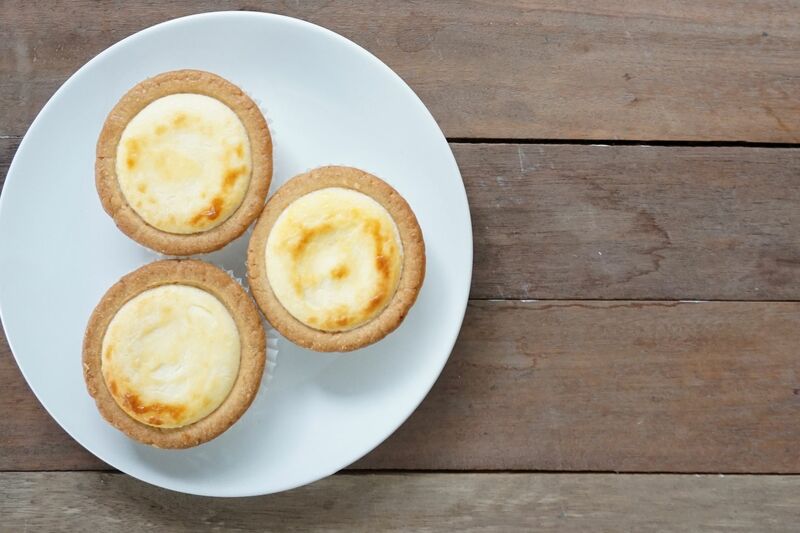 One of the most popular dessert sensations to hit Singapore a while back was the baked cheese tart. Its sheer simplicity makes one wonder why they were not invented sooner. It’s not rocket science — take a fruit tart, or any kind of tart, and fill it with cheese instead of its regular filling. 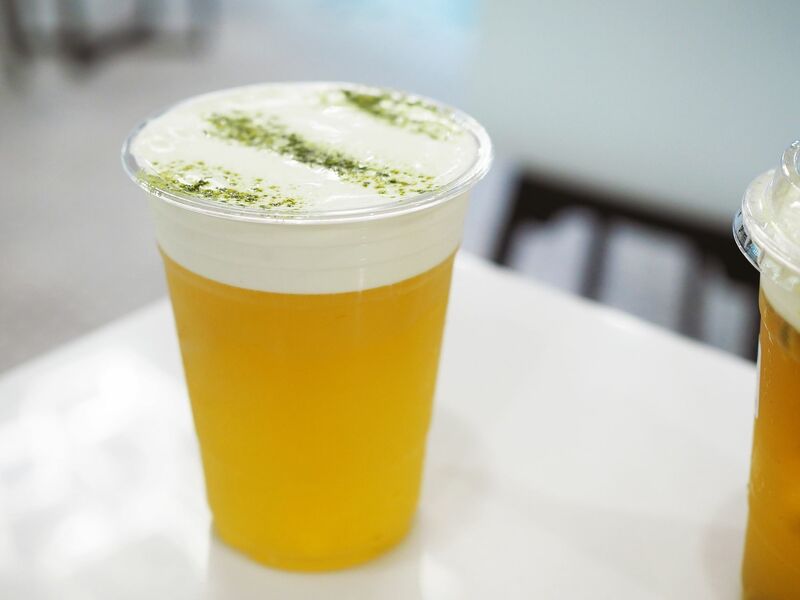 Now, this Japanese treat is all over the island, but no matter how many outlets pop up, it always suffers from this one problem: the queues everywhere are endless. More importantly, with many aspiring imitators trying to get a piece of the action, it can be difficult to get quality assurance. How many times have you tried a cheese tart from a new brand, only to find it cold, hard and tasteless on the inside? No thanks. Forget slapping a slice of cheddar on an innocuous piece of white bread and calling it a day. Nowadays, cafés and restaurants all over the world aspire to make the humble grilled cheese into an art form by adding all manner of ingredients to it. 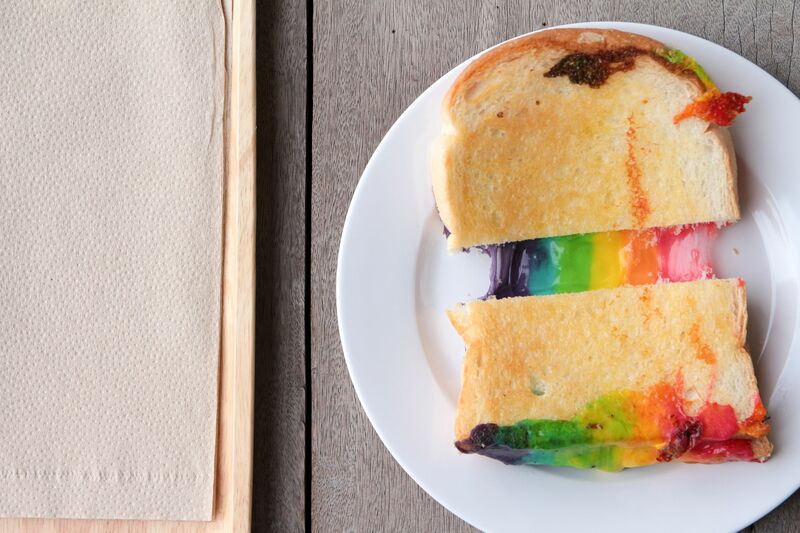 One way in which cheese toast has been taken to an extreme is rainbow toast, which uses different food colourings or ingredients (like beetroot, for instance) to turn your lunch into an edible technicolour dreamcoat. The real question is, does it taste very different from regular cheese on toast? Not really. Its main purpose is just to look good on your Instagram feed, if that's what you're most concerned with. The Korean love for cheese is evident in its prevalence in their food, such as melted over tteokbokki or sprinkled over bite-sized pieces of fried chicken. 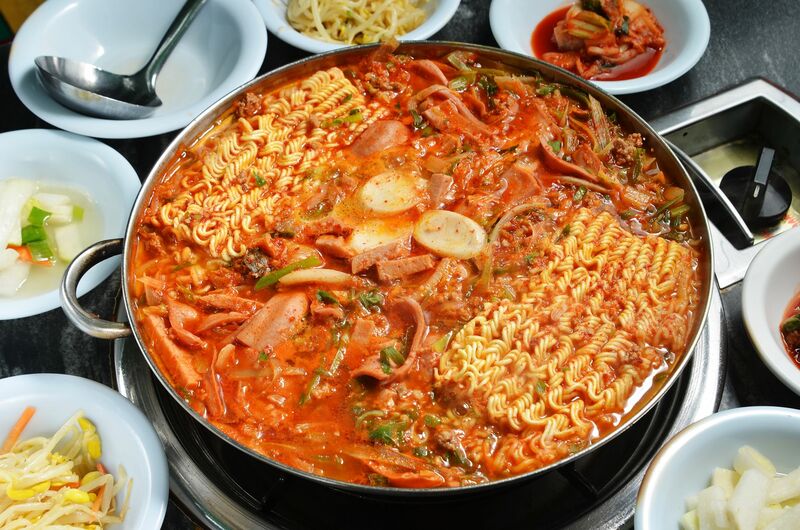 But one of the most iconic appearances of cheese is in the Korean’s signature army stew, or budae-jigae. No pot is complete without a square of cheese slowly melting over a slab of instant noodle. Naturally, the only logical progression was not to put the cheese on the instant noodles, but rather, put the instant noodles into the cheese instead. Easy to make and even easier to eat, this dish makes for a convenient and simple TV dinner in a pinch. But some have made it their mission in life to elevate mac and cheese beyond its humble origins, putting all manner of ingredients into it. Lobster? Yes. Bacon? A staple at this point. Rendang? You know it. Sometimes we get tired of finding increasingly inventive ways to shoehorn cheese into our dishes. Why can’t cheese belong where it should? 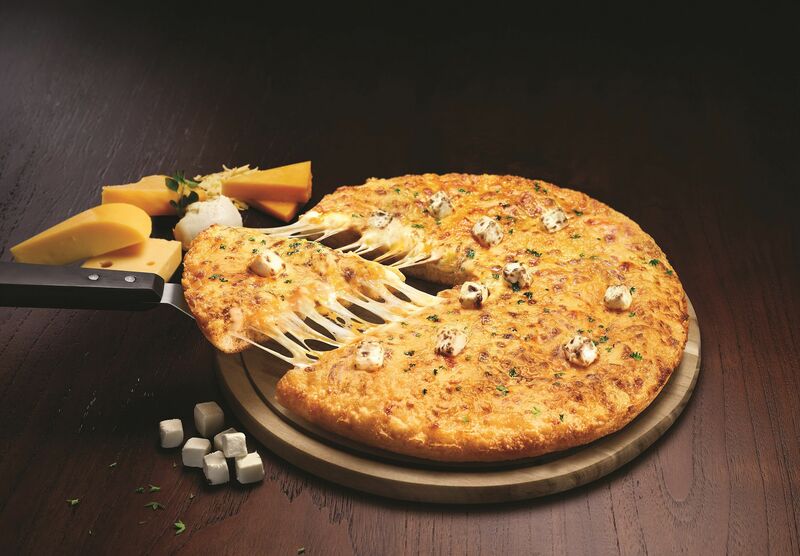 So go back to the basics with Pizza Hut’s new Cheesy 7 Pan Pizza. No frills, no rainbow food colouring, no rendang or lobster, no Korean-inspired stews — just an indulgence of cheese on pizza, as it should be. So why get the Cheesy 7 pizza instead of a regular cheese pizza? Because you know you can never have enough cheese. As the name suggests, the Cheesy 7 pizza brings not one, not two, but seven different types of cheeses together into one glorious pizza. So on top of the reliable standard mozzarella, you also get the best of Emmental, Parmesan, Gouda, Edam, cheddar and cream cheese in all their cheesy goodness. The Cheesy 7 pizza likes to keep things simple, but that doesn’t mean you can’t mix things up a bit. Cheese lovers can opt for the Cheesy 7 Hawaiian with that good old pineapple zest, or the Cheesy 7 Chicken Pepperoni for that New York touch. So, love doesn’t have to be complicated, least of all your love for cheese. After the increasingly complicated attempts to cheesify everything, the unabashed simplicity of the Cheesy 7 pizza is like coming home to family. Take your pick of the Original, Hawaiian or Chicken Pepperoni from now until Sep 12 or while stocks last in either the regular (six slices) or large (eight slices) size. Having a pizza party at home? Pizza Hut has you covered with these Cheesy 7 delivery-exclusive deals. The Cheesy Fun Deal offers four Honey Roasted Wings and a Garlic Bread alongside the Cheesy 7 pizza, while the Cheesy Feast has two regular Pan Pizzas, 10 Honey Roasted Wings, six Chicken Tenders with cheese sauce and a Cheesy Fries to go with your choice of Cheesy 7 pizza. But for the ultimate cheesy pizza party, go for the National Day Feast that is available until Aug 19, which offers a choice of two large Cheesy 7 pizzas alongside a large Pan Pizza or Hand Stretched Thin Pizza. The National Day Feast also comes with a staggering array of sides, including a WingStreet Snack Box, six Chicken Tenders with cheese sauce, two Garlic Breads and two Cheesy Fries, with six Cinnamon Breadsticks and a Hershey's Chocolate Chip Cookie to round things out.